Karl battled cancer from 2006-2013 and was cared for by Dr. Harry Hoffman. Both Karl and Kay were incredibly fond of Dr. Hoffman, and the compassionate care he provided for Karl. After hoping to have beaten cancer, it returned and eventually spread from his throat, to the liver, and finally the lungs. After eight years of defying the odds, Karl passed away on 10/25/13. Because of the excellent care that Dr. Hoffman provided to Karl in last years of his life, Kay decided to generously support the Iowa Head and Neck Protocols in Karl’s memory, including making a donation each year on Karl’s birthday. Kay believes giving to this cause and Dr. Hoffman, would make Karl proud and happy. All people that knew Karl, especially in his later years, know that he had a passion and special talent in woodworking. 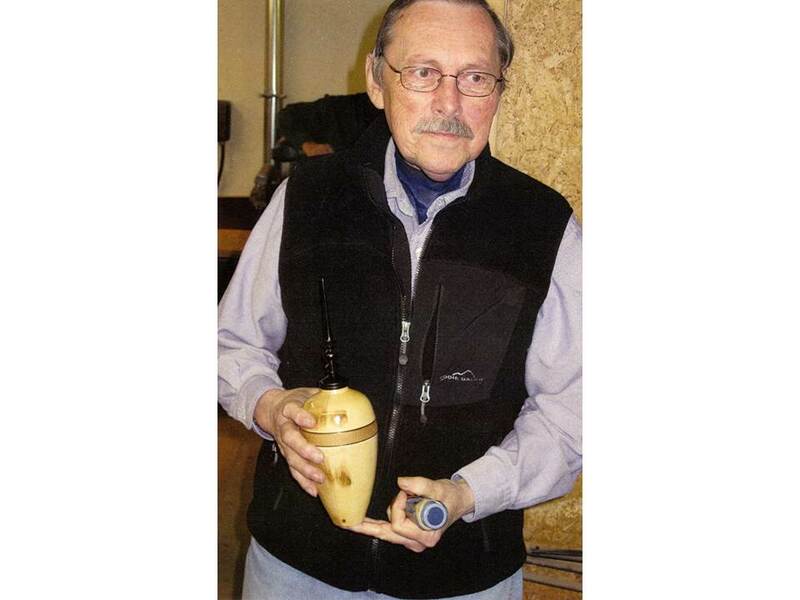 Not only did he enjoy woodturning himself, he particularly enjoyed teaching others the skill and encouraged them to appreciate the wonder and beauty of each piece of wood they touched. His perfectionist attitude made every piece of art one of a kind. Karl also had a love for nature and birdwatching. Due to his passion for the outdoors, he was an avid scout, becoming an Eagle Scout in his teenage years. The scouting program brought forth endless opportunities of discovery in all fields for him. Education was something that Karl pursued to the highest degree, earning his PhD in botany. However, gaining knowledge and skills was not enough, he wanted to share them. This led to him to teaching in the field of botany in Appleton, WI. Eventually, he ended his working career running his family’s moving and storage business being an agent for North American Van Lines. Above all else, Karl was an excellent husband, father, stepfather, grandfather and great grandfather. He was a natural teacher – always looking for opportunities to help and share what he knew with all around him. Towards the end of his life, he displayed unbelievable strength and courage, facing whatever medical condition that came his way and never once complaining. We are all grateful to the legacy and memories that Karl has left with us.